Carving Out Future Decoy Carvers Course. This project is sponsored by the Ward Museum of Wildfowl Art and funded by a grant from the National Endowment for the Arts and the Maryland Arts Council. 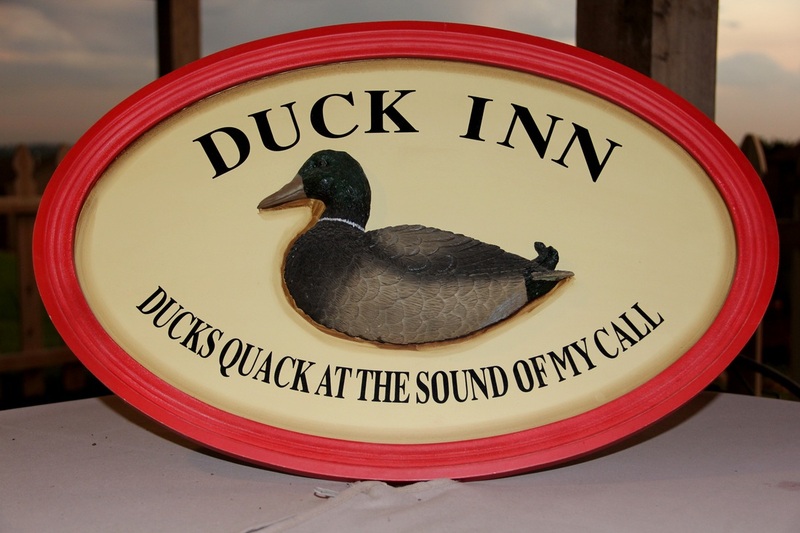 This project intends to help preserve, promote, and present the decoy carving traditions of the United States. 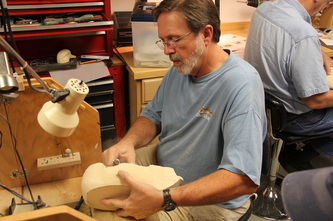 The NEA provides the funding to pay the professional carver’s instructor fee and a stipend for the student’s materials. 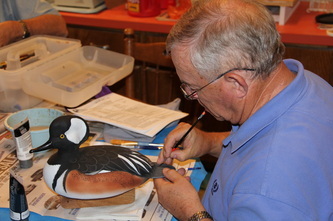 It intends to introduce interested persons of all ages to the art of wildfowl decoy carving. The Ward Museum provided fiscal, technical, and logistical support through its Special Events Office. 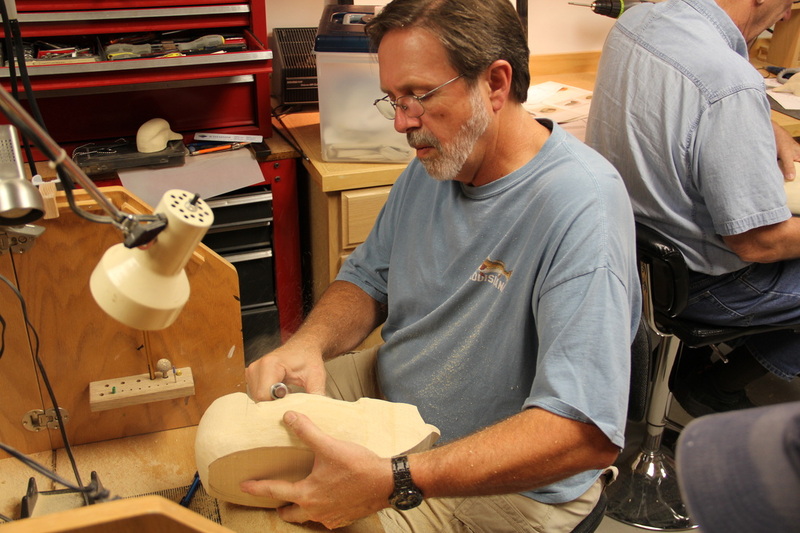 Fifteen professional carvers served as instructors for at least six students in each course. 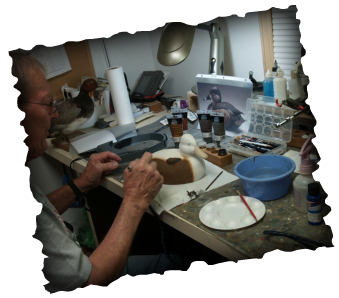 The guidelines for the program dictated the carvings were to be in the working decoy style and capable of being used as a decoy in the field. The categories of decoys included dabbling ducks, diving ducks, geese and confidence decoys, shorebirds, and woodpeckers. 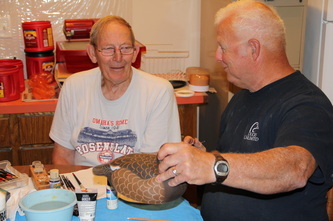 At the conclusion of the project, all decoys were entered in the Chesapeake Challenge competition sponsored by the Ward Museum and held at the Museum in Salisbury on the first weekend of October, 2011. 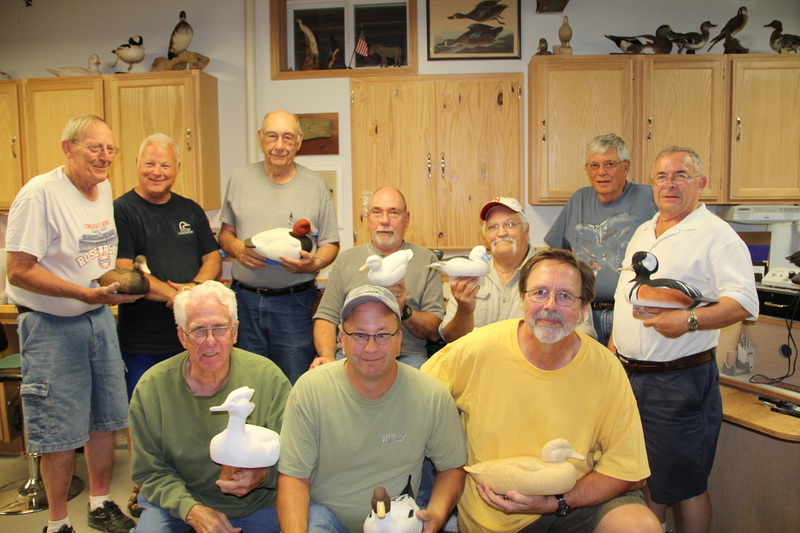 Eight CFDCC members attended the 16 hour program with Norm Wise and Lon Bernth serving as instructors. Each student was encouraged to select a specie of his choice for the course. The project paid a $30 stipend for each student’s supplies including wood, shipping to Salisbury, and entry fees. The course began in mid August and concluded in late September. The class met each Tuesday for 3 hours. During the course, photographs were taken of the students’ progress and submitted to the Ward Museum for inclusion on their website. A copy of the class photos in a DVD format will be submitted to the Club library. 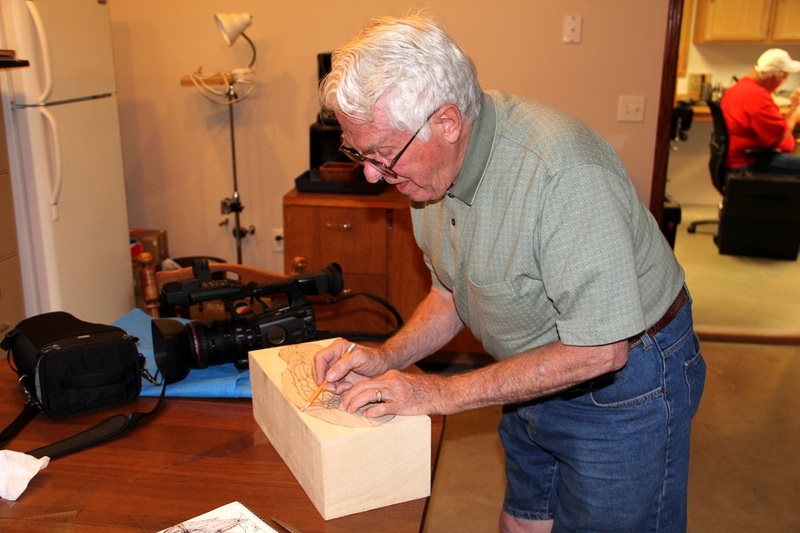 On October 6, Norm Wise and Lee Weis travelled to Salisbury for the competition. Each bird was entered into 2 separate events. The first event was held on Friday evening. In this event (Masters’ Choice), the instructors were given the task of judging the decoys of another instructor’s class. Awards were given for 1st, 2nd and 3rd place. On Saturday, the decoys were entered in the Chesapeake Challenge open competition. Each bird was judged “on the water” and from a blind 30 feet from the decoys. 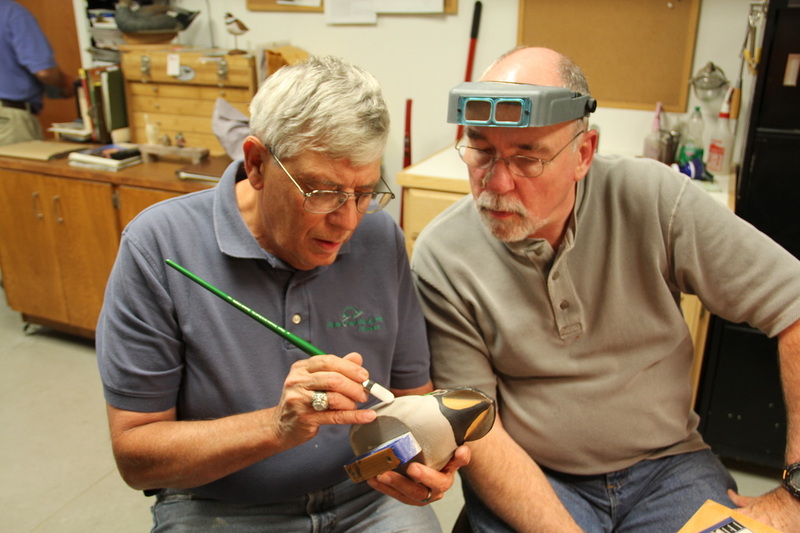 Concurrent with the competition, an Instructors’ Roundtable was held to discuss the project. Each instructor was given an opportunity to highlight his or her teaching experience during the project. Two regional newspapers ran articles on the program in September, 2011 (attached). Future programs will be dependant on federal and state funding to the National Endowment for the Arts Council. The Ward Museum is interested in hearing from individuals interested in the course. The competition results are posted on the Ward website. A slide show of the 2011 classes will be added to the Ward web site at a future date. 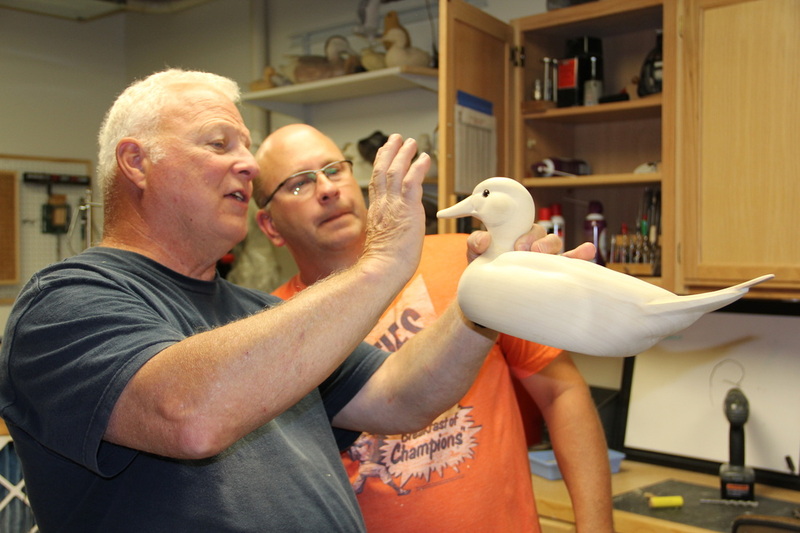 During the Chesapeake Challenge event, the Ward Museum of Wildfowl Art was awarded accreditation by the American Museum Association. This accreditation puts the Museum on a level with 750 other major accredited museums [of more than 11,500 art museums] in the United States. The CFDCC students and instructors wish to thank the Ward Museum for its promotion and involvement in this worthwhile program. The Museum staff were gracious hosts during the course and the Chesepeake Challenge competition. Some photos of the course. Photography courtesy of Lon Theer, Theer Creative. 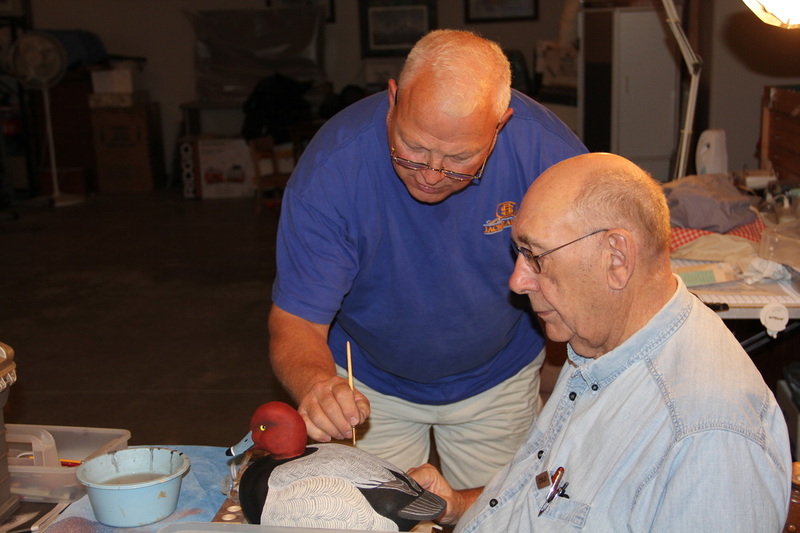 Lee Weis starts painting his ring necked hen.